This week's optional prompt for the 52 ancestors in 52 weeks challenge is to post a favorite picture and tell the story. I had such a hard time picking a picture. While going through the pictures, I found one of my grandfather, Thomas Richard Carter (1914-2005) and one of me. 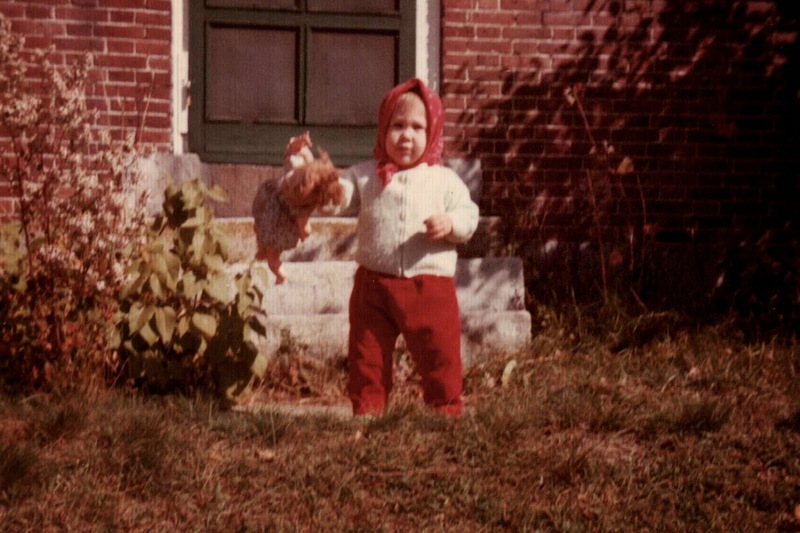 We are both standing in front of the home built by the first Carter in Bethel. I decided to choose the house as the subject and include more than one picture. 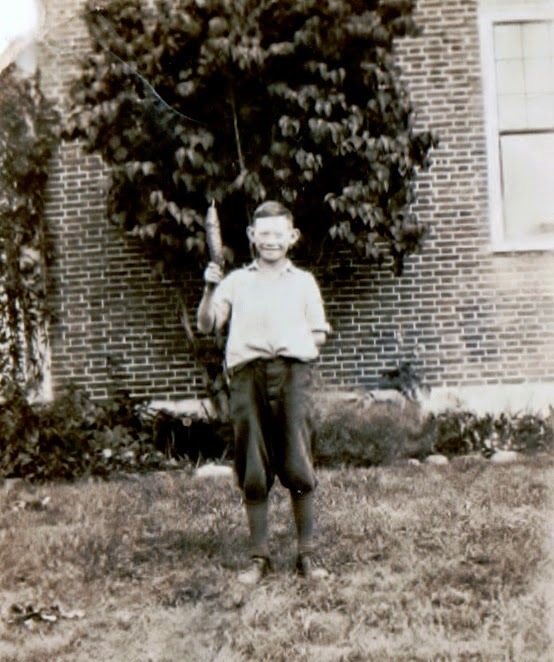 Thomas Richard Carter - my grandfather, probably about age 7, standing in front of the home built by Dr. Timothy Carter, his second great-grandfather. Middle Intervale, Bethel, Maine. 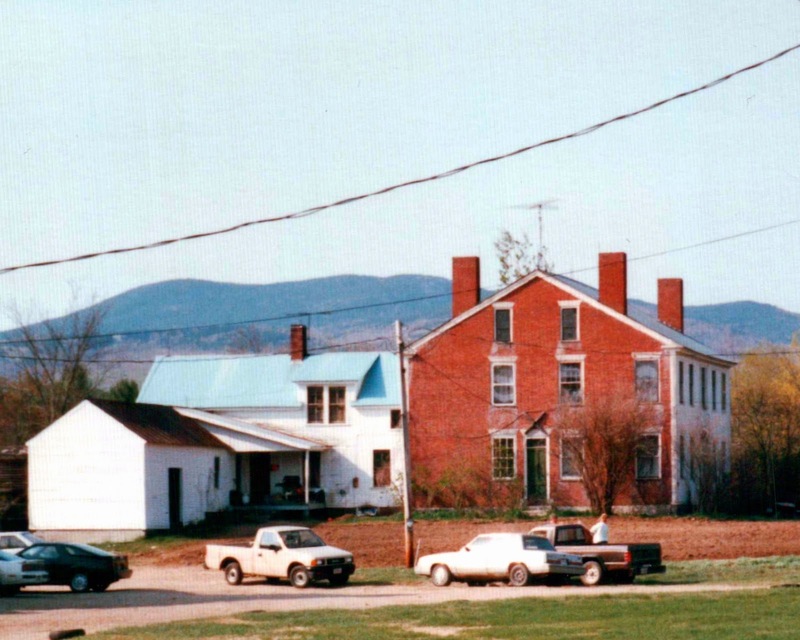 This home has been in my family for seven generations: Dr. Timothy Carter, Elias Mellen Carter, Augustus Mellen Carter, Edward Mellen Carter, Thomas Richard Carter (pictured above), Timothy Andrew Carter (my uncle), John Richard Carter (my cousin who currently resides in the Brick End House and runs the family farm). A better picture of the house itself. Dr. Timothy Carter and his wife, Frances (Freeland) Carter came to Bethel in 1799. He trained to be a doctor under his father-in-law, James Freeland, a surgeon in the Revolutionary War. 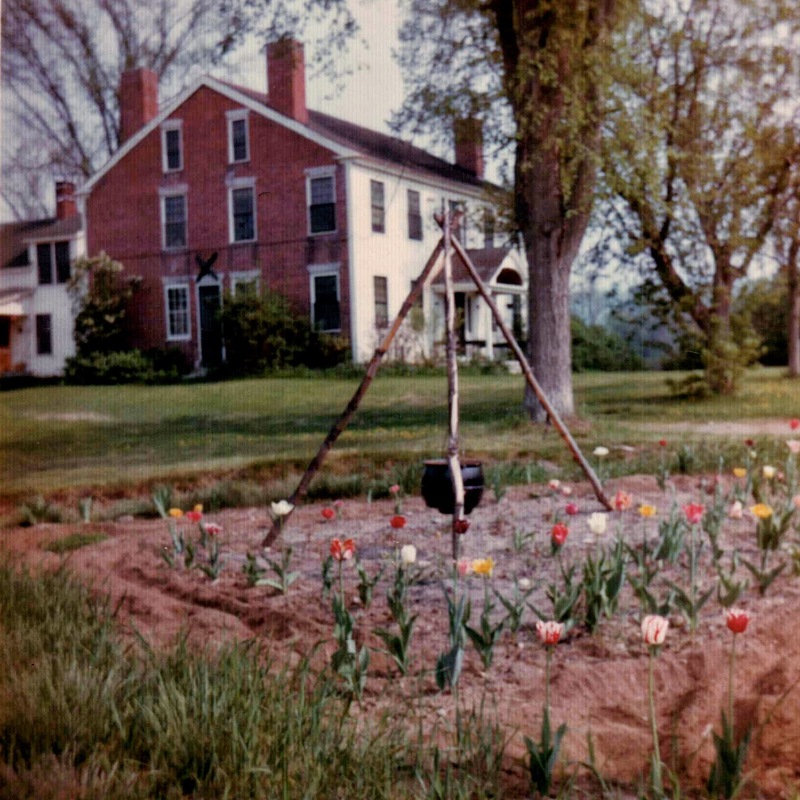 He built this home and the meetinghouse across the road. He and Frances had seven children. The youngest was Elias Mellen Carter. After Frances died in 1815, Dr. Timothy married Lydia Russell and they had five more children. Another view of the Brick End House. At one time, the shed connected to a stable and then to a large barn. The main part of the house has a kitchen, dining room, a small bedroom, and two parlors downstairs. Upstairs there are 4 large bedrooms, a bathroom, and my favorite spot, the window seat between two of the bedrooms.